The State constitution gives the Board of County Commissioners the power to adopt ordinances (local laws), approve the County budget and set millages, and establish the requirements for the departments under its control. The Board governs all unincorporated areas of the county directly; municipalities may call upon the County for specialized services. The Commission does not have control of the budgets or policies of the School Board. The Commission approves support funding for court services, insofar as County funds are concerned, and approves the budgets of the Clerk of the Circuit Court, the Sheriff, and the Supervisor of Elections. Budgets for the Tax Collector and the Property Appraiser are approved by the State Department of Revenue and filed with the Board of County Commissioners. The commissioners also serve as other Boards for the County, such as the Emergency Medical Services Authority, the Fire Protection Authority, the Mosquito Control Board, the Countywide Planning Authority, and the Water & Navigation Control Authority. Meetings are held twice a month, usually, but not always, on the first and third Tuesdays. The earlier meeting in the month begins at 9:30 a.m. and follows an agenda of Invocation, Pledge of Allegiance, Presentations and Awards, scheduled Public Hearings, Citizens to be Heard, and Agenda Items. Meetings in the latter part of the month are actually held in two parts. Invocation, Pledge of Allegiance, Presentations and Awards, Citizens to be Heard and Agenda items are discussed with the Board at 2:00 pm, after which there is a break and the Board reconvenes at 6:00 p.m. with scheduled Public Hearings. These meetings are designated for zoning matters as well. The public is invited to attend these meetings which are held in the fifth floor Assembly Room of the County Courthouse, 315 Court Street, Clearwater. Special listening devices are available at the meetings upon request. 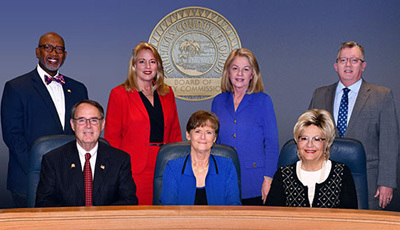 Board meetings are televised LIVE and repeated during the week on the Pinellas County Government television station – Pinellas County Connection TV (PCC-TV). These meetings are closed-captioned for the hearing impaired.